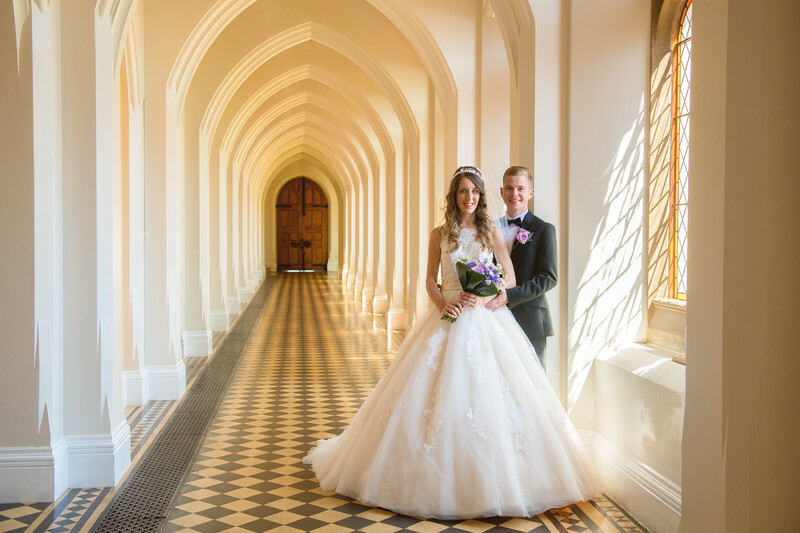 Rebecca and Ryan got married at Stanbrook Abbey in Worcestershire, on a very hot and sunny summer's day. After the wedding ceremony in the Callow Hall, the weddings guests moved to the Piano Lounge at the back of the venue (although formerly it's front door) for the drinks reception. It was so hot however, most of the guests ended up standing outside in the shaded area provided by the profile of the building. It was in fact so bright outside, that we decided to take the outdoor wedding photos after the wedding breakfast, and we'd take the indoor photos beforehand. It might seem like a backwards way of doing things, but there was very good reason for doing so. Very bright, direct sunlight is difficult to photograph weddings in, as the bride's wedding dress becomes incredibly bright, whereas the groom's black suit in this case absorbs most of the light. Taking the outside photos later in the day allowed us to make the most of the evening sun, when it was lower in the sky and giving a warmer glow. One benefit of taking the indoor photos in the middle of the day was that the cloisters, as seen in this image, were perfectly well lit using nothing but ambient lighting. 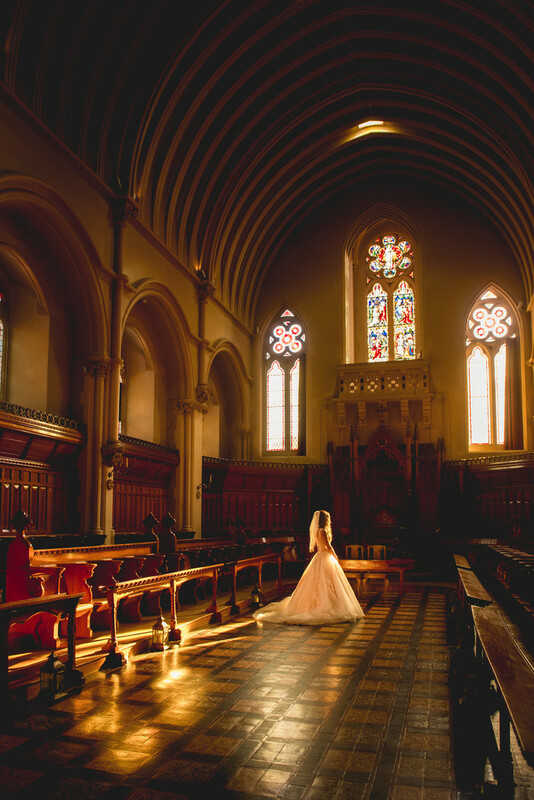 As you can see from this stunning image, waiting until after the wedding breakfast paid in a big way - as we were walking towards the lake that's hidden away to one side of the venue, we passed through the Callow Hall and found it to be glowing with this amazing golden light.